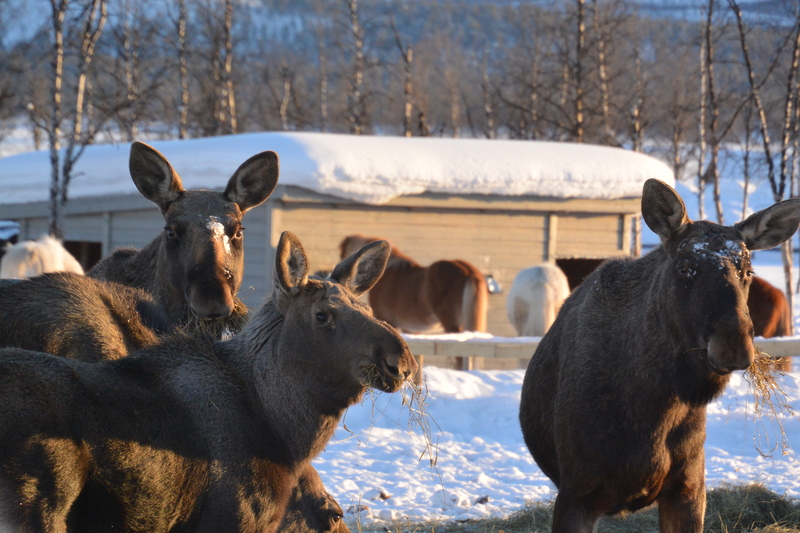 We have had a lot of moose on the farm this winter. It has been a tough winter, lots of snow and many cold days.. Therefore it’s hard for the animals to find food in the forest,but the moose here in Puoltsa are lucky to be able to come here and eat. We have put out extra hay bales for the moose and also put hay on several places for the moose that can’t make it all the way here.